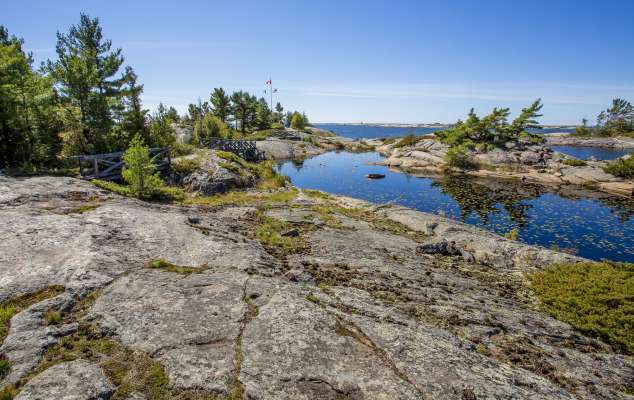 Canada’s northern Georgian Bay is home to some of the country’s most gorgeous and pristine settings—and therefore some of its most desirable private island getaways. 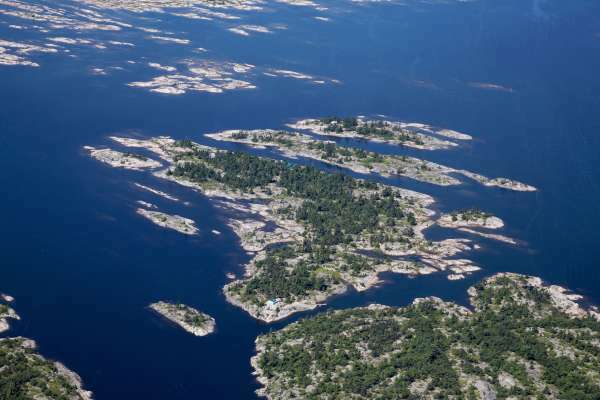 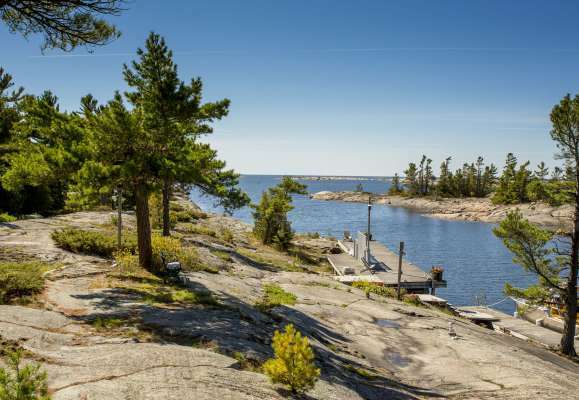 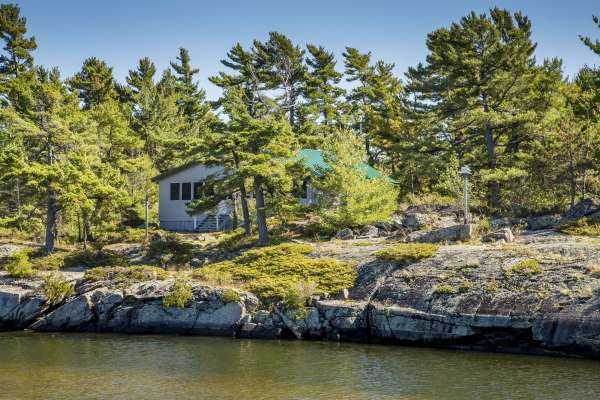 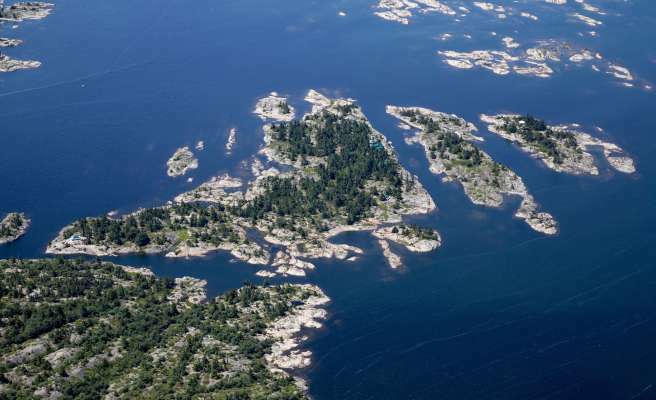 Case in point: glorious Bigwood Island, a 36-acre beauty of smoothly sloping granite covered by lush, white pine forests, perfectly situated at the mouth of Byng Inlet. 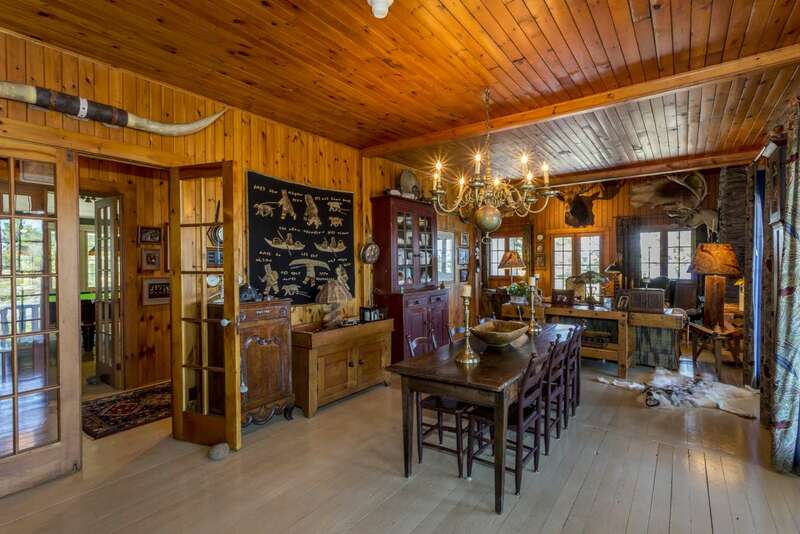 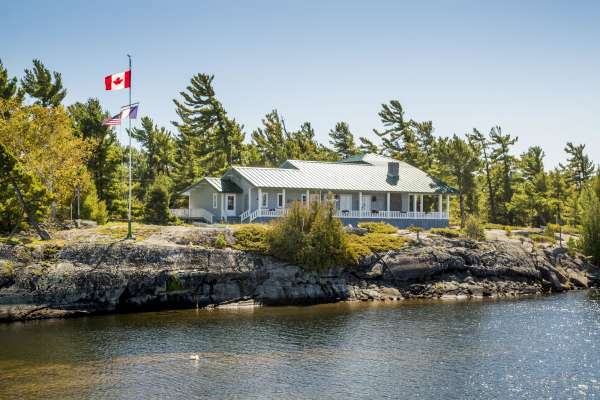 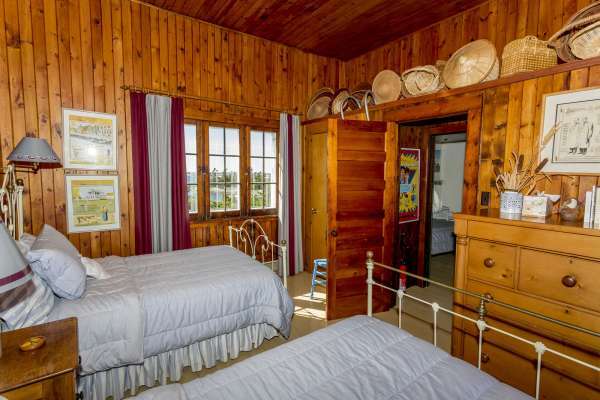 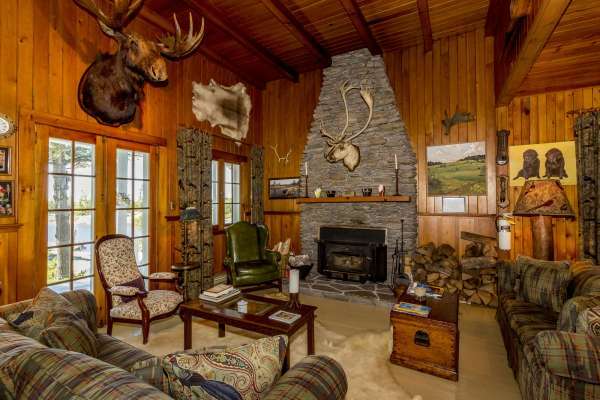 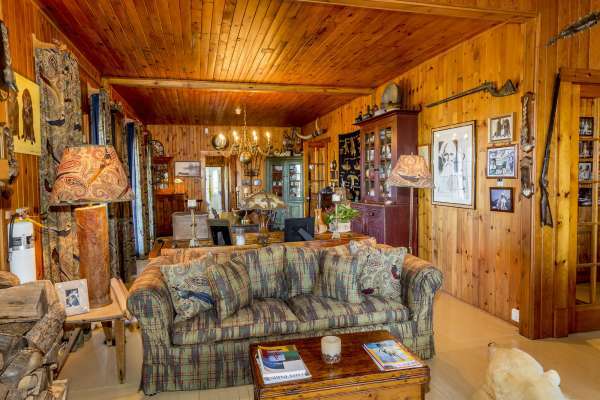 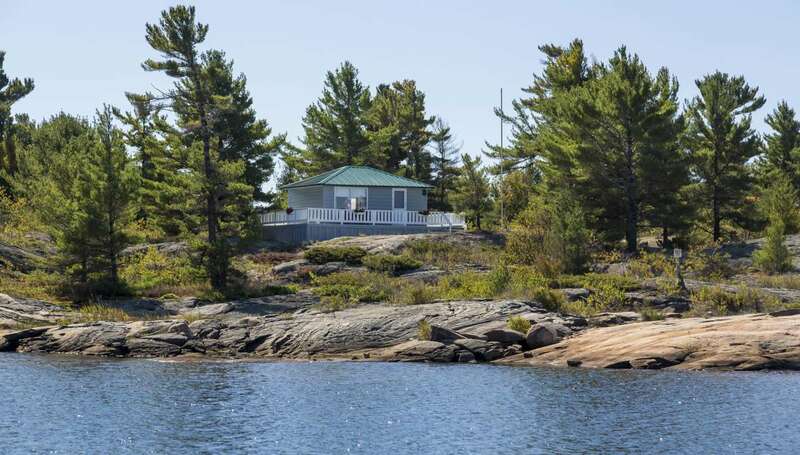 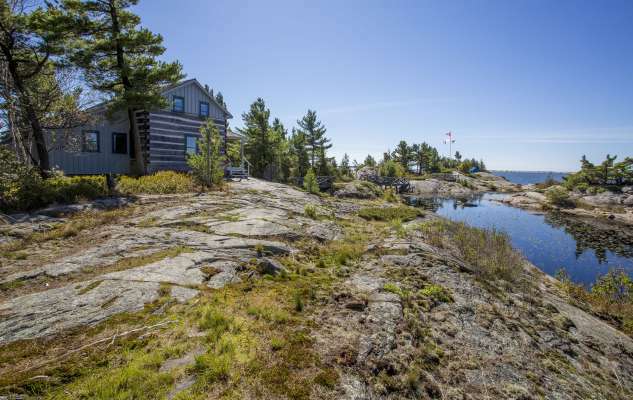 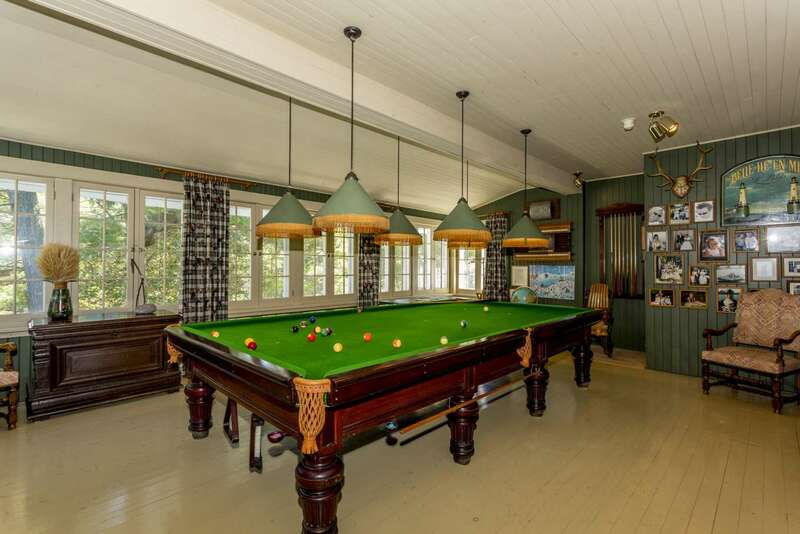 With breathtaking views of beautiful Georgian Bay waterscapes to the west and five cottages, the island is ideal for a family compound or retreat. 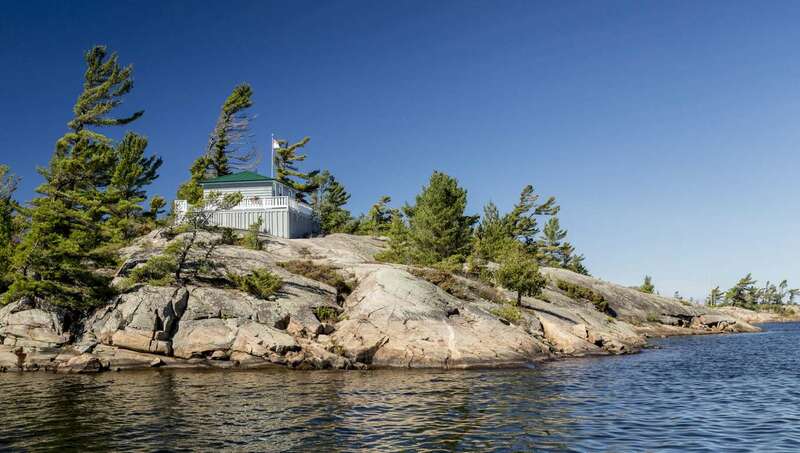 Bigwood Island’s Main Lodge dates from 1905, and was originally built as a summer retreat for the managers of Canada’s largest lumber company, located in nearby Britt. 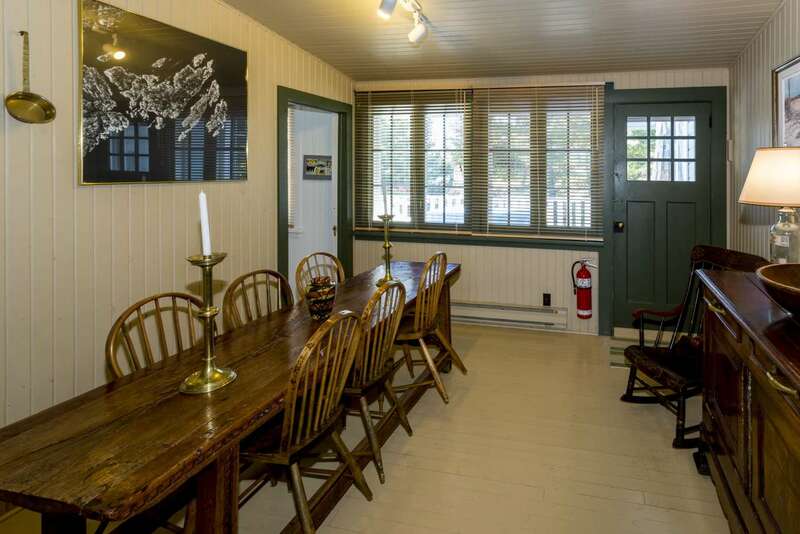 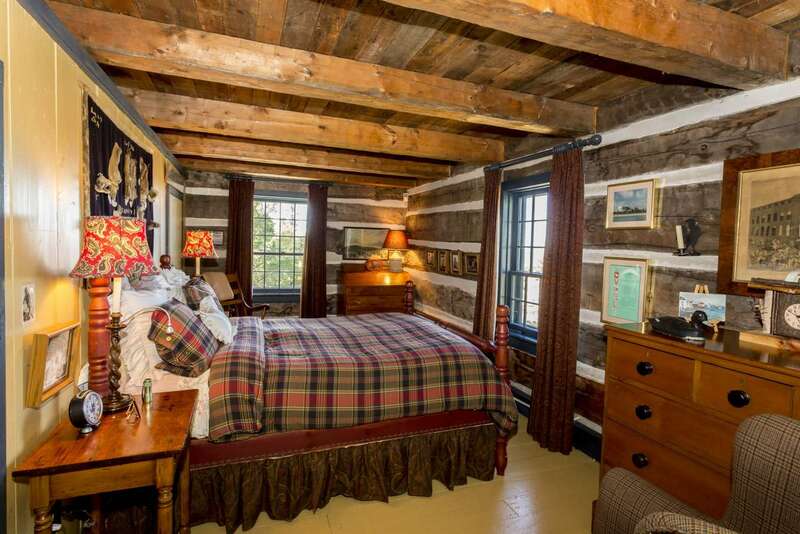 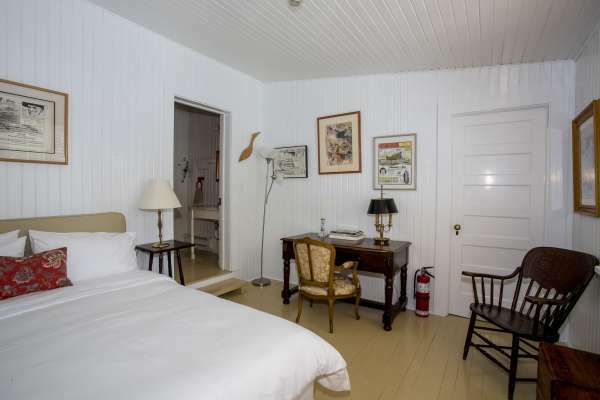 Overlooking the harbor, the 2,500-square-foot, five-bedroom, 1 1/2-story lodge has been meticulously restored and tastefully furnished to preserve the charm and warmth of a bygone era, while still providing state-of-the-art modern conveniences. 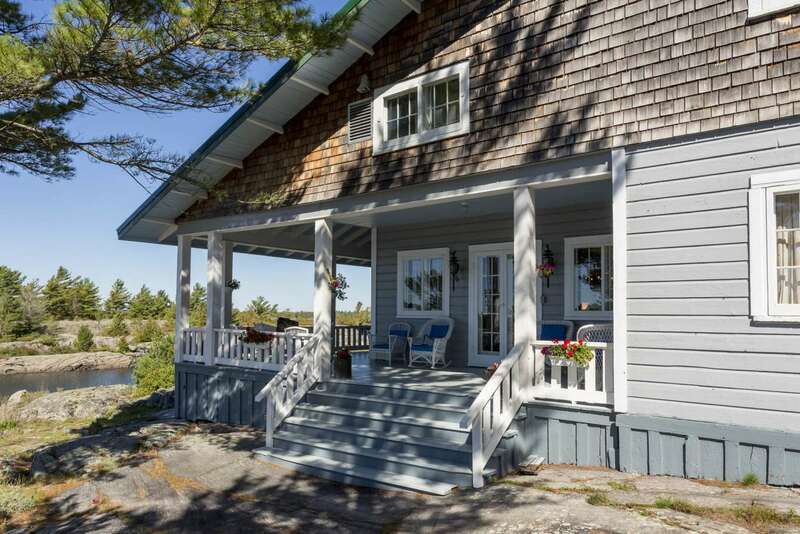 The lodge’s classic wrap-around porch allows access from most of the main rooms, while a rear deck off the kitchen is great for sunning and al fresco dining. The charming Log Cabin, originally from Eastern Ontario, was dismantled and rebuilt on its current site on the island’s southwest point. 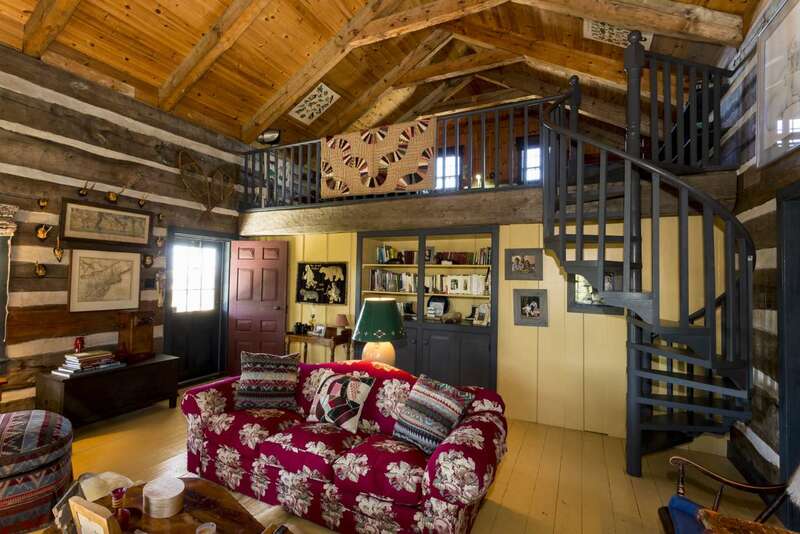 Approximately 950 square feet in size, it features a living room with vaulted ceiling and loft area, a master bedroom with five-piece bathroom and a modern kitchen. 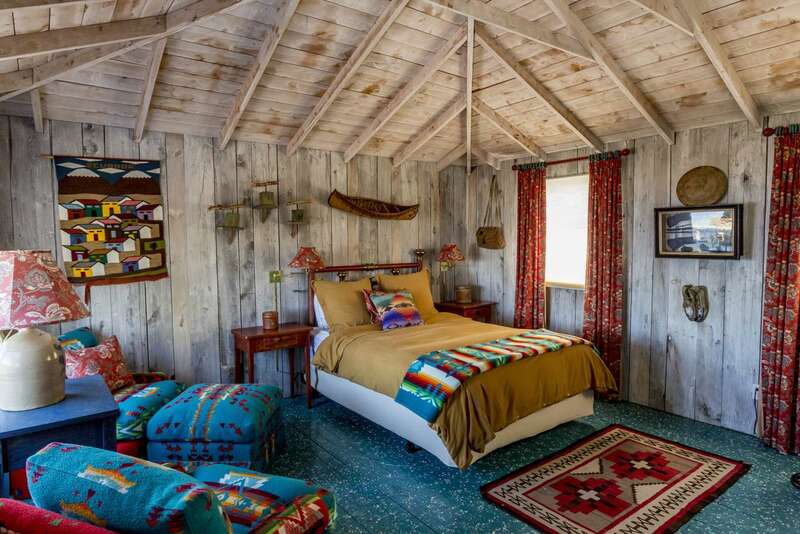 Indian Cabin is a cozy smaller cabin with a brass double bed, a comfortable sitting area, a three-piece bathroom and a wrap-around deck. 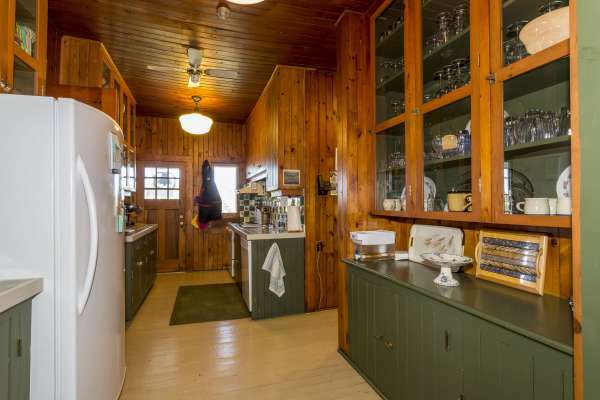 Pointe Cabin, which sits on the island’s highest point along the eastern shore, has one bedroom, a full bathroom and a wrap-around deck. Play Cabin, with its three bedrooms, can comfortably sleep an additional six to eight people. 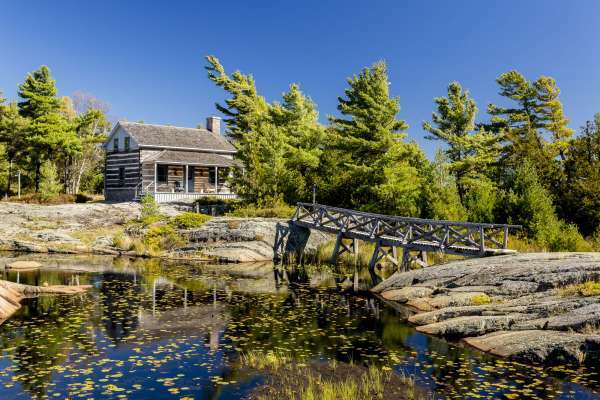 A network of footpaths and rustic wooden bridges link the island’s cabins, delivering endless bay views. 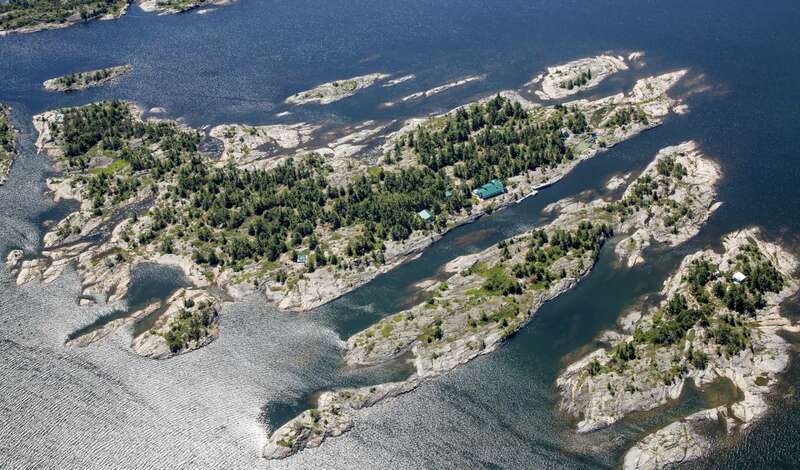 The island is just a 10-minute boat ride from the local marina in Britt, which in turn is just an hour by floatplane or three hours by car from Toronto.